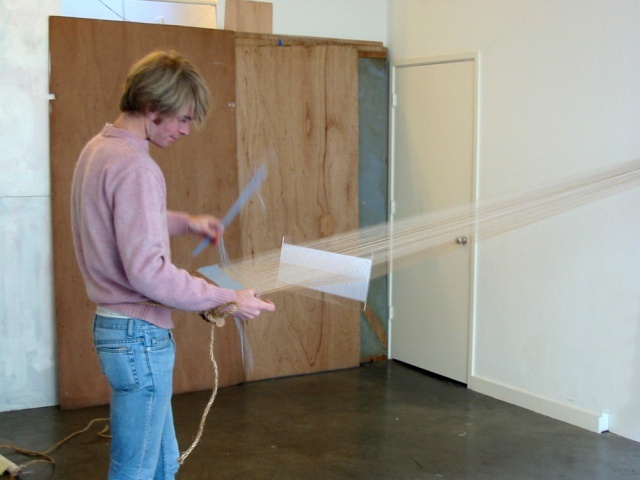 Crystal Laser Kite Loom of the Future...Today!!! 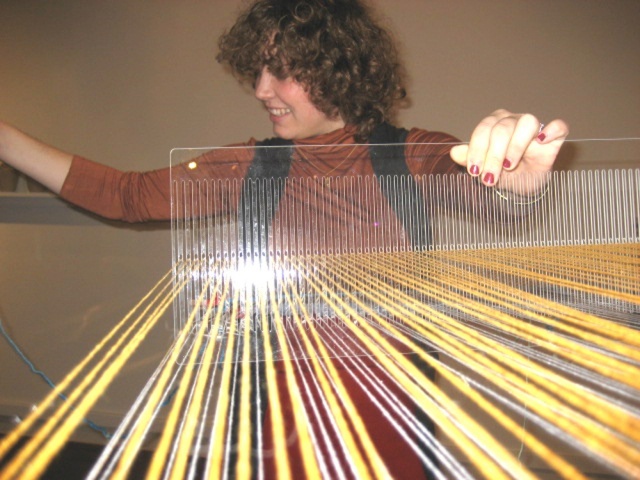 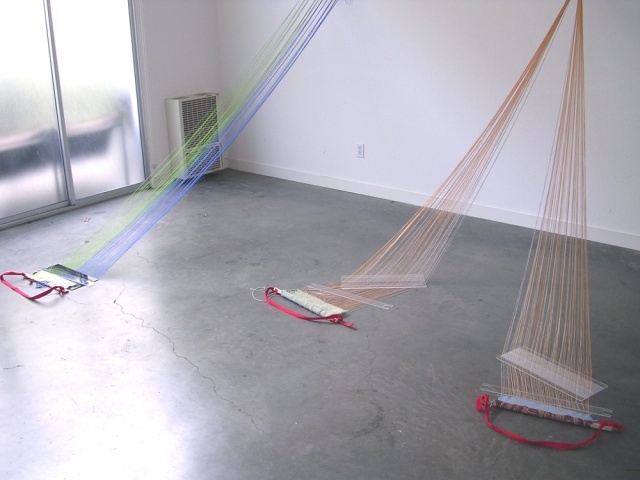 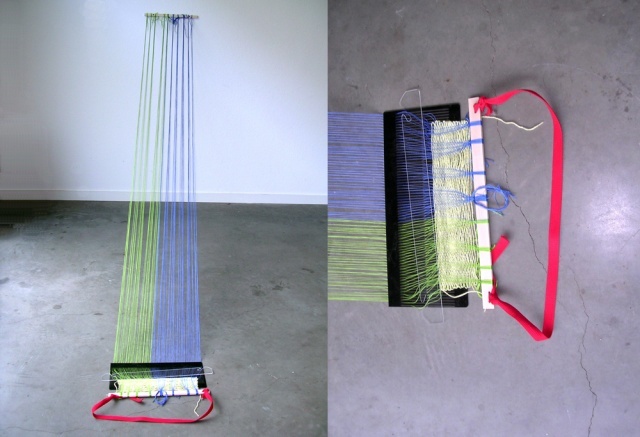 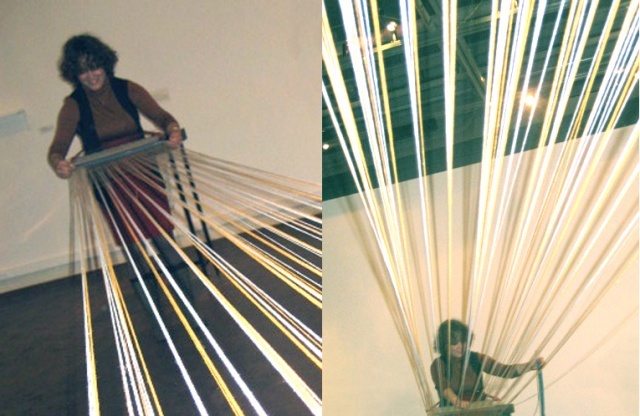 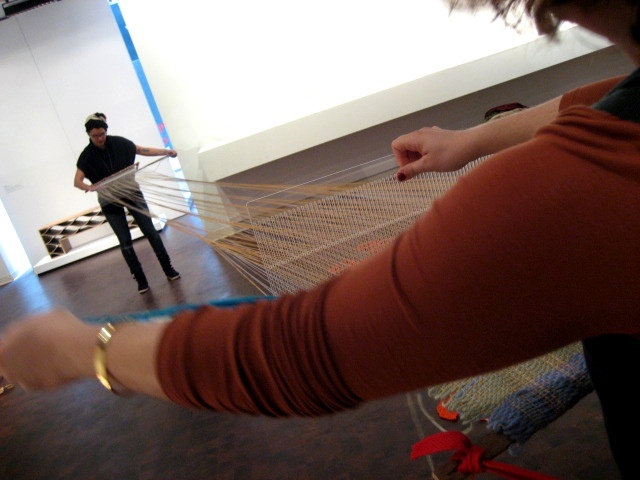 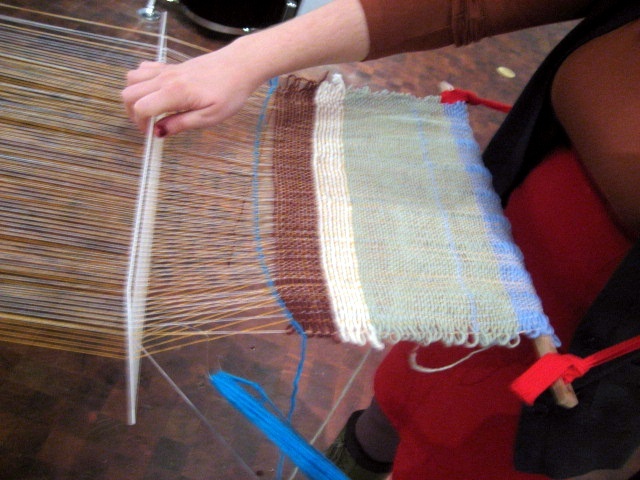 Travis Meinolf installed prototypes of portable weaving rigs in the project 7 space. 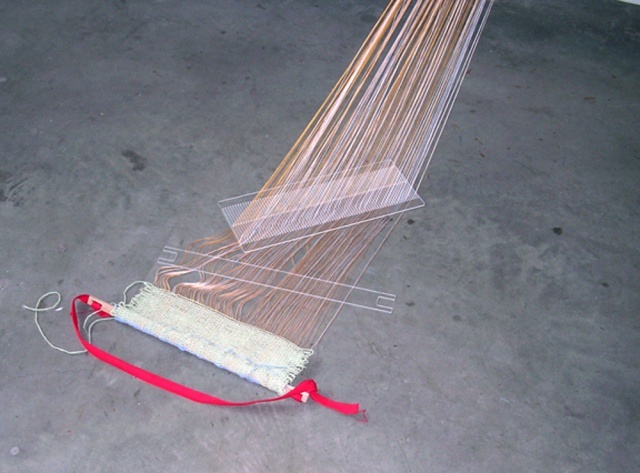 These egalitarian fabric production devices were used by visitors to collectively weave lengths of cloth. 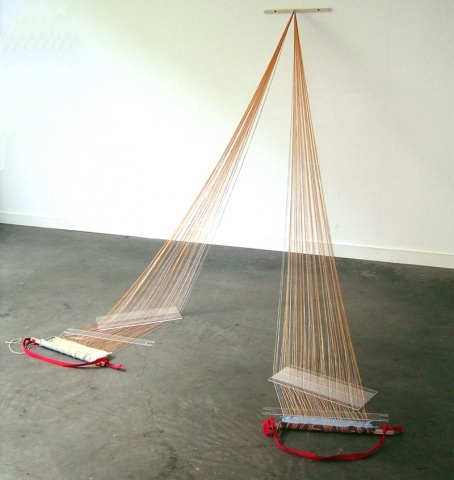 Both the display and use of these devices is part of Meinolf's ongoing investigation into the powerful social effects of material distribution, and the catalytic effect of disseminating tools for small scale production. 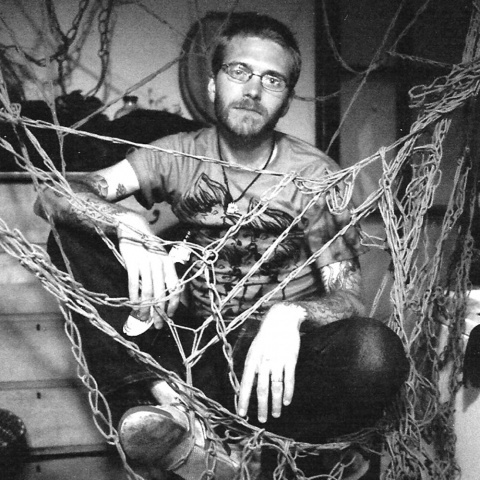 By creating alternative humane modes of making rather than seizing industrial means of production, Meinolf proposes a nonviolent and almost quaint alternative to Marxist revolution, that may be just crafty enough to work.